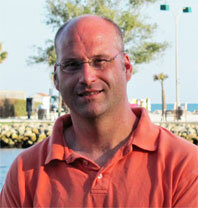 Lee Watts, LCSW is a therapist in private practice in Venice, Florida. Lee has over ten years of experience in helping individuals and families regain control over their lives. In addition to direct clinical work in psychiatry at some of the top teaching hospitals in the United States (Tufts Medical Center, Boston Medical Center, and Beth Israel Deaconess Medical Center) Lee has also served as Faculty Field Advisor for the Boston University School of Medicine and Boston University School of Social Work. Using a combination of Cognitive Behavioral Therapy, and psychodynamic counseling approaches, individualized to your specific needs, Lee will help you to understand not only the causes of problems that you may be having but more importantly developing a concrete plan for making real and lasting change. Lee graduated from Boston College Graduate School of Social Work, and also holds a degree in Bereavement Studies from Mount Ida College. He is independently Licensed in both Florida (LCSW SW9919) and Massachusetts (LICSW 110787). He has also received postgraduate training in Cognitive Behavioral Therapy, Dialectal Behavioral Therapy and Trauma Systems Therapy, with Glenn Saxe, MD.